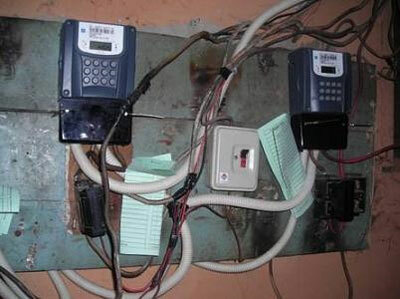 LAGOS—RESIDENTS of Ilasamaja community in Mushin Local Government Area of Lagos State, have lampooned the Eko Electricity Distribution Company, Eko DISCO, over mass disconnection of power supply to the area since August 23 over alleged refusal of some residents to pay their bills until the provision of pre-paid meters. It was gathered that this is the second time Eko DISCO has disconnected power supply to the community throwing all residents including those that have prepaid meters as well as others who have been paying their electricity bills as at when due into darkness. Sources claimed some of the residents have since 2016 been having running battles with the electricity distribution company over outrageous bills despite erratic power supply, saying ”even when you are disconnected for a month or more, they still bring bills to your house. Since January 2016, a bill of N3, 000 per month suddenly jumped to N15, 000, N20, 000 and in some cases N30, 000. An aggrieved resident of the area, who uses pre-paid meter, Mr. Uwem Anthony, while decrying the outrageous bills consumers without pre-paid are being forced to pay, condemned the disconnection of power supply to the whole community.